— Hon. Mia Davies, MLA. For an athlete, there’s nothing like the pride of representing your country and achieving your goals on the international stage. So, together with the Western Australian Institute of Sport and Melbourne architects dwp | suters, we set out to create the space to make that happen. A daily training environment for over 28 sports, as well as facilities for testing, recovery, support, and administration. The small price to pay for an inspiring entrance. The striking façade was inspired by an athlete’s physique at high performance, particularly the skeleton, skin, tendons and muscle. We were able to offset material costs in its creation by using lightweight Glass Reinforced Polymer, with its off-site manufacture and ease of installation. The laminate finish also requires little ongoing maintenance, saving WAIS in upkeep time and costs. The cutting-edge building houses a conditioning gym large enough to train two squads at once, a five-lane indoor athletics track, ability for indoor pole vault and javelin, a long jump pit, and a hydrotherapy recovery centre. It is also home to the WA High Performance Sport Research Centre, including a heat, humidity and altitude testing laboratory. We also ensured the athletes could receive support through purpose-built study and recreation zones, as well as spaces for physiotherapists and psychologists on site. Most importantly, the entire building is universally accessible for Paralympic athletes. 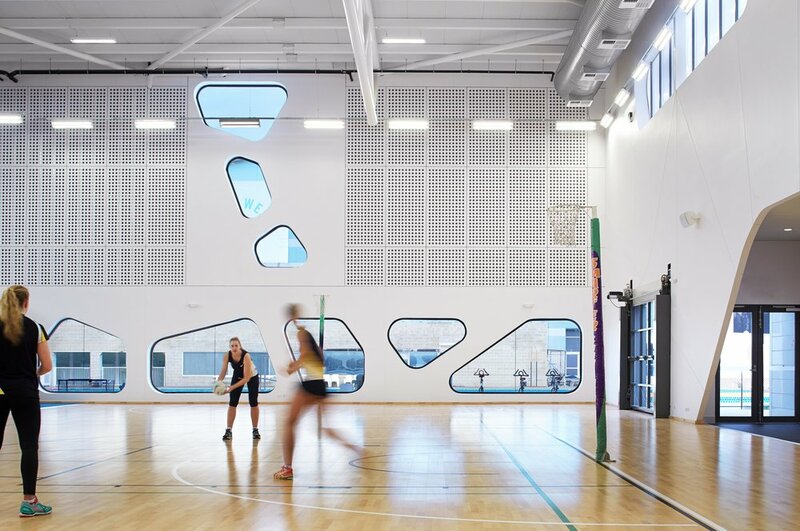 The WA Institute of Sport High Performance Service Centre received a Public Architecture award from the Australian Institute of Architecture, WA Chapter.